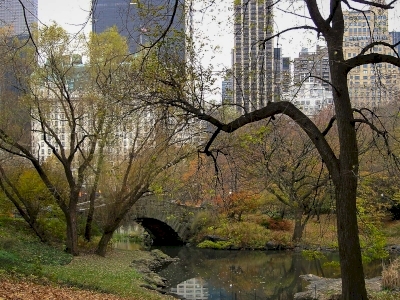 Central Park is part of the Tentative list of USA in order to qualify for inclusion in the World Heritage List. It is surprisingly hard to write a review of one's home area attraction. I've been to Central Park in New York City a few hundred times, in conservative estimation, likely setting foot at least once at or near all of its major features and points of interest. On a pure intellectual level, I continue to recognize it as a monumental achievement of purposeful civic planning and the blueprint for many other parks since. But a park that I've seen only once in some remote locale probably retains a stronger impression for me than the park I've seen and used for most of my adult life. Central Park is huge, larger than some cities enshrined on the WH list. If you are touring New York City, you should definitely budget some time for exploring the park, especially on a brilliant sunny day. Hitting all of the highlights is hard to do even if you have a full day, but you can see a few in a couple of hours of leisurely strolling, which will give you plenty of appreciation for the scale and the diversity of the place. From Gapstow Bridge to the Mall to the Bethesda Fountain, then over the Bow Bridge to the Belvedere Castle to the Great Lawn will take you through the southern half of the park, with the added advantage of proximity to the Metropolitan Museum of Art on the eastern edge or the Museum of Natural History on the western one at the end of your walk. In addition, the park has a zoo, a number of interesting monuments and buildings, miles of running and cycling trails, several playgrounds, several performance venues, etc., etc., etc. Plus a number of other museums along its edges, especially the stretch of Fifth Avenue known as the Museum Mile. And, of course, plenty of spots for picnicking and plenty of nooks with benches offering opportunities for quiet reflection in the middle of the huge metropolis. The lungs of NYC is perhaps one of the most visited and well known public areas in the world. It felt so familiar as I strolled through the seemingly endless urban park; this is because its been a popular filming location for decades. I suppose the best time to visit is Spring or Fall, but I had to make due with late Winter, Early Spring. Luckily, the sun was out. Central Park is 843 acres and I quickly recognized my visit was going to be a work out! I walked from the South heading North. 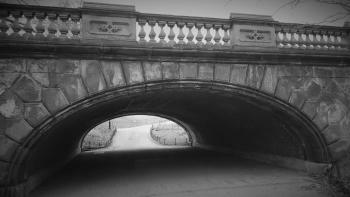 I enjoyed the arched bridges, many from the original design. The statues, fountains, ponds, and carrousel were all pleasant sites along the way. One of the highlights is surely the lakes, ponds, and massive reservoir. The later (looking South) provides stunning views of the Manhattan skyline. The Metropolitan Museum of Art and the Solomon R. Guggenheim Museum are conveniently located to make Central Park a day well spent, albeit a full one!